Felicity Jones hit the red carpet yesterday evening(June 6th) at the 2017 Glamour Women of The Year awards at Berkeley Square Gardens in London, England. 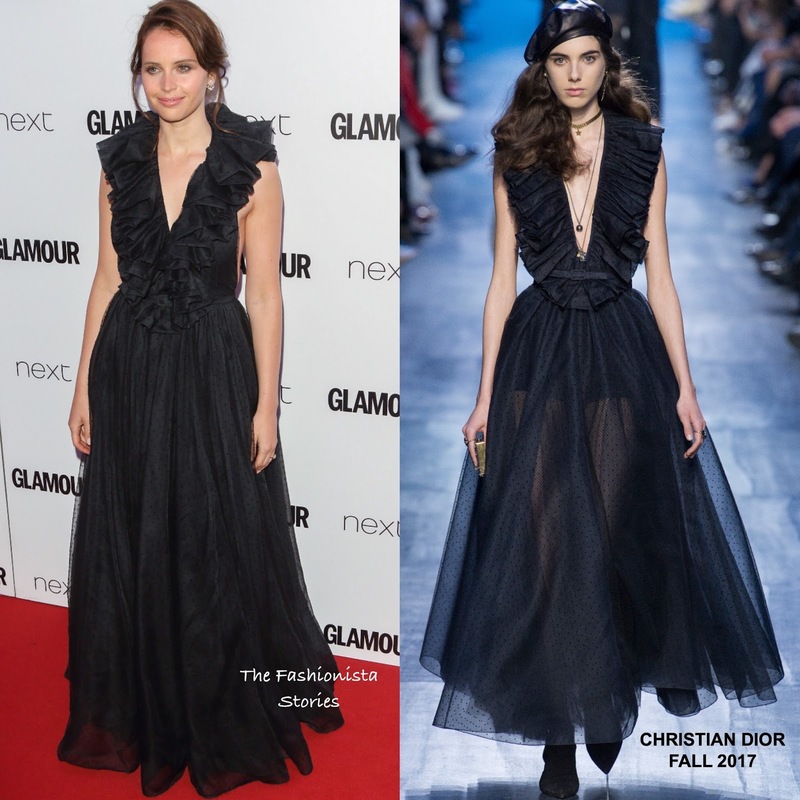 For the occasion, she wore a CHRISTIAN DIOR FALL 2017 black floor length dotted halter dress with a ruffled v-neck, open-back top and a layered skirt. Felicity's dress is a modified version of the runway's dress which featured a sheer, unlined skirt and a ankle length. While Felicity does look nice for the occasion, once again her look fails to excite. Which version of the dress do you prefer, Felicity's or the runway's?